Turkish officials say they consider these groups "terrorists." The general staff of the Turkish armed forces issued a statement concerning the airstrikes, saying that "operations will continue until the terrorists have completely been eliminated." "Denying the genocide is not only saying 'we didn't do it.' It's much, much worse.... It is declaring murderers as heroes. It is honoring the genocide's perpetrators... [and] saying to the grandchildren of genocide victims, 'Murderers of your grandfathers and grandmothers are our heroes; they did it well, God bless them. If necessary, we would do it again.'" — Istanbul Branch of the Human Rights Association, Commemoration of the 102nd Anniversary of the Armenian Genocide, April 24, 2017. Yazidis say they have been subjected to 72 genocidal massacres. The latest genocide, committed by ISIS, is the 73rd and is still going on. Tens of thousands of Yazidis have been displaced and are refugees in several countries. Hundreds of Yazidi girls and women are still bought, sold and raped by ISIS terrorists -- the same men who murdered their husbands and fathers. "The entire Yezidi population was displaced in less than one day on August 3, 2014! The Yezidis and Chaldo-Assyrian Christians face this genocide together. Why? Because we are not Muslims, and because our path is the path of peace. For this, we are being burned alive. For living as men and women of peace." "The Yazidis of Mountain Shingal are terrified. They feel threatened and unsafe. They thought ISIS days were almost done and they can return to their villages and towns, but now they face a bigger problem," Yakhi Hamza, country director of the 1st New Allied Expeditionary Force, a humanitarian nonprofit delivering medical help to the most vulnerable Yazidis. "The strikes hit the only civilian clinic on the Mountain Shingal," Hamza said. "The clinic was run by a volunteer, Dr. Khansa, who was selflessly serving displaced Yazidi community on the mountain from Day One." Before being bombed the clinic... was a makeshift room with six beds and a handful of medications run by a 36-year-old woman the locals lovingly call "Hero Doctor Khansa." Turkish officials apparently consider these groups "terrorists." The general staff of the Turkish armed forces issued a statement concerning the airstrikes, saying "operations will continue until the terrorists have completely been eliminated." 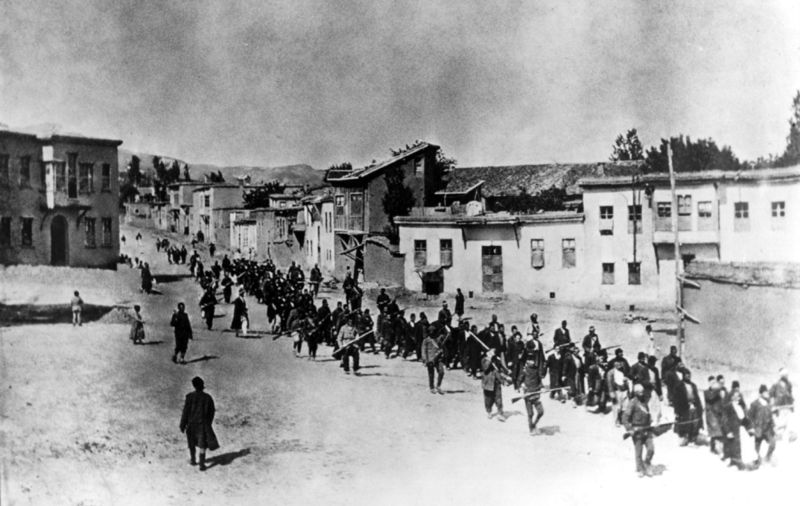 In 1915, up to 1.5 million Armenians were expelled from their native lands in Ottoman Turkey. Not only Armenians were targeted. Between 1914 and 1923, Assyrian and Greek Christians were also massacred, according to a report by the International Association of Genocide Scholars (IAGS). The report described the situation as "a state-organized and state-sponsored campaign of destruction and genocide, aiming at wiping out from the emerging Turkish Republic its native Christian populations." During the Armenian genocide, Yazidis, as well as Christians, were targeted. "To this day," writes professor Israel Charney in the report, "the Turkish government ostensibly denies having committed this genocide." Actually, Turkey not only denies the genocide, but also honors the perpetrators. Talaat Pasha, Enver Pasha and Djemal Pasha, known as "the three Pashas," were the senior officials who ruled the Ottoman Empire during World War I. They were also the masterminds behind the Armenian Genocide. Their names, as well as the names of other officials who were responsible for the genocide, are still bestowed on many schools, neighborhoods and streets across Turkey. "Denying the genocide is not only saying 'we didn't do it.' It's much, much worse. It is inflicting the genocide to the grandchildren of its victims every day, again and again with countless tiny little details of daily life. It is declaring murderers as heroes. It is honoring the genocide's perpetrators... [and] saying to the grandchildren of genocide victims, 'Murderers of your grandfathers and grandmothers are our heroes; they did it well, God bless them. If necessary, we would do it again.'" 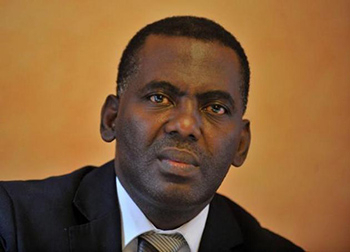 "Studies by genocide scholars prove that the single best predictor of future genocide is denial of a past genocide coupled with impunity for its perpetrators. Genocide Deniers are three times more likely to commit genocide again than other governments." "It has now been revealed who acts in obedience to foreign forces and who acts in obedience to Allah.... We are determined to root out traitor gangs completely while we will also never forget that the Muslims cannot be bitten on the same wound over and over again." Matthew Karanian, the author of the 2015 book Historic Armenia After 100 Years, explained in his recent speech at Pasadena City College why Armenians are still fighting for recognition of their genocide. "The alternative," he said, "is a world in which crimes against humanity are committed with impunity, leaving the victims -- and the world -- forever at risk." The Sinjar Resistance Units (YBŞ), its all-women offshoot, the Ezidxan Women's Units (YJÊ), and the Protection Force of Sinjar (HPŞ) founded the all-Yazidi joint commando umbrella structure "Sinjar Alliance," and took part in the November 2015 Sinjar offensive against ISIS. Get Turkey out of NATO, NOW. Either push them and the Gulf States out of the UN, or disband the UN as its useless and not doing what it was created to do anymore. The EU need to lock the doors against the Turks and help Greece batten down the hatches. History is going to repeat itself all over again. We need to help the Yazidi's. And stop letting in Islamic migrants. They're running from a mess of their own creation and cause and bring it all with them. Plus, they're not the ones being targeted for extinction. Its time we stopped buying oil and gas from the Middle East. Either let's get our skates on and push away from fossil fuel dependency or start fracking and using our own individual resources. Starve them of money, starve them of access to the West, not only for migration purposes but also trade and investment. Watch how fast the situation degenerate's and the MENA region as a whole turns on itself. Let it happen. They clearly need to learn their own lesson and crawl out from the ashes to rebuild and rebirth. We cannot keep the status quo continuing as it is. We cannot keep taking half of the ME and African region in to our countries. We cannot keep pretending that Turkey is some kind of civilized democracy. Its not. It never really was, but it made attempts at secularism for awhile there. Now, its back to being a fledgling empire. Cut them off at the source and let them deal with their own choices and consequences. If we don't do these things, the West will fall. This was a very informative article pertaining both to perverse actions of the Turkish government, and to the persecution and grave difficulties of the Yazidi people. I thank Uzay Bulut also for this important perspective on current actions which deny the Armenian genocide 102 years ago. Having Armenian friends, I have had the benefit of their stories of this Armenian genocide that is still denied by Turkey. And, as this writer has proposed, when you are not held to account for this kind of barbaric action against a people of different beliefs, it is well apt to happen again. And so it is. The world should hang its collective head in shame. Never again? It is here and blatantly for all to observe. As well as the genocide against the Christians. Tolerance of this barbaric evil is deadly for so many who stand in its path. Empires don't like challenges to their authority. Which is why Kurds, Copts, Yezidis, Jews, seculars, homosexuals, and countless others are constantly belittled and abused. The imams have tasted power and are now addicted. This is only the beginning. As Erdogan further consolidates his power, there will be more purges of suspected opposition within Turkey, and he will make war on the Kurds, Yazidis, and any other group he sees as potential enemies -- probably classifying them all as terrorists, while ignoring real terrorists as long as they don't attack him. The coming regime will be no less tyrannical and bloodthirsty than the sultans and pashas of the past. I am ashamed that Israel to this day has not recognized the Armenian Genocide, "our elder brothers in sorrow." To think, that EU money meant to be used to prevent the exodus from Turkey by illegal immigrants is probably being used to buy the bombs and weapons to murder the Yazidi. Good old Merkel! The destructive policies of the EU are to blame for many problems currently being inflicted on EU citizens. And yet still the french voted for a Pro EU politician to lead the country. Crazy! The world leaders have gone mad, what is it they fail to understand about Islam?